As our December focus on vintage skill toys continues, we look at this early 1900s yo-yo from our collection. In 1915, Pedro Flores came to the United States from the Philippines at the age of 16. He worked a variety of odd jobs and ended up working as a bellhop. During his lunch breaks, he began demonstrating a toy that he had played with as a child in the Philippines. He started to sense there might be a market and decided to start a business. The Lucky Collector's Guide to 20th Century Yo-Yos: History & Values quotes Flores as saying " I do not expect to make a million dollars, I just want to be working for myself. I have been working for other people for practically all my life and I don't like it." In 1928, he started the Yo-Yo Manufacturing Company and carved a dozen yo-yos by hand. Within a year, he was able to increase production and create several different versions. The prices ranged from 15 cents to $1.50. For the next few years he grew the business by hosting yo-yo spinning contests in theaters and coining the slogan, If it isn't a Flores, it isn't a yo-yo. In the early 1930s, entrepreneur Donald Duncan learned about the yo-yo and bought Flores' business for $250,000 (during the Depression!) 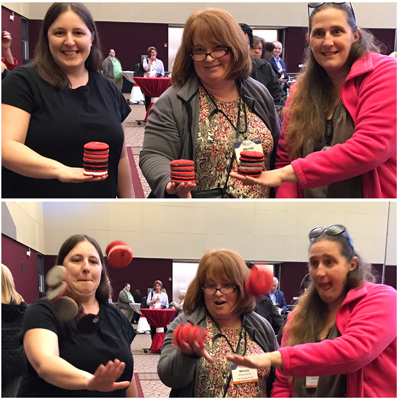 Flores stayed on with Duncan promoting the yo-yo with demonstrations and contests which helped to make the Duncan yo-yo the brand we still see in stores today. 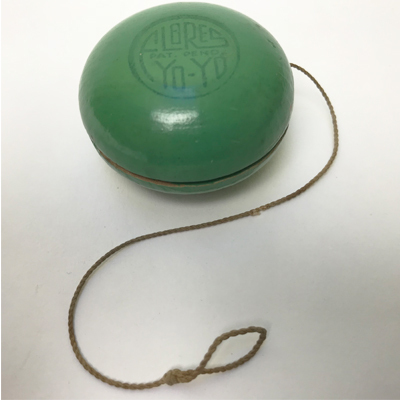 We don't have an exact date for our Flores yo-yo, but we know it was made between 1928-1932.